Mayor blames DPWH for deadly MisOr road crash: Bilisan niyo gawa! 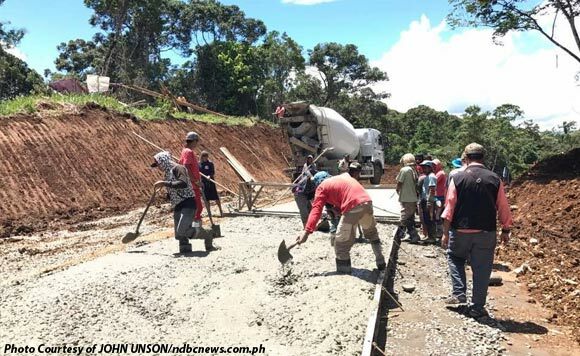 The Department of Public Works and Highways (DPWH) 10 (Northern Mindanao) should fast-track the construction of an additional lane along the national road in the Misamis Oriental town of Initao after three persons were killed in a vehicular accident on Saturday night. Initao Mayor Enerito Acain issued the call following a fatal road accident that killed Maria Theresa Zaragosa, 48; Rosa Apag, 55; and Gilberto Apag. The survivors were the 17-year-old driver and one Ermilinda Vente, 56. “It’s not impossible that what happened will be repeated. But we will not allow it to happen,” Acain said. He said he sees no reason for the delay since the concreting is the easiest component of the project. The vehicle carrying the victims — a Mitsubishi Estrada pick-up truck — was registered to a certain Edgardo Zaragosa of Purok Lerio, Barangay Acmac, Iligan City. Police said Maria Theresa was the truck owner’s wife and the driver was her son. PO3 Francis Dadole, Initao police traffic investigator, said the victims came from the airport in Laguindingan town to see someone off and were on their way to Iligan. A witness who lived nearby, Peterson Agan, said the truck was probably speeding at about 120 km. to 130 km. per hour. “The impact was so strong. We heard something crash so loud. But it was dark. There was a power outage at the time,” Agan said. He added that due to the impact, three passengers on the back seat were all thrown to the front seat.